As I said before I'm not much of a resolutions gal, but I love goals and attributes that allow me to grow into a better person. One of the goals I'm working on this year is to be a savvier shopper. 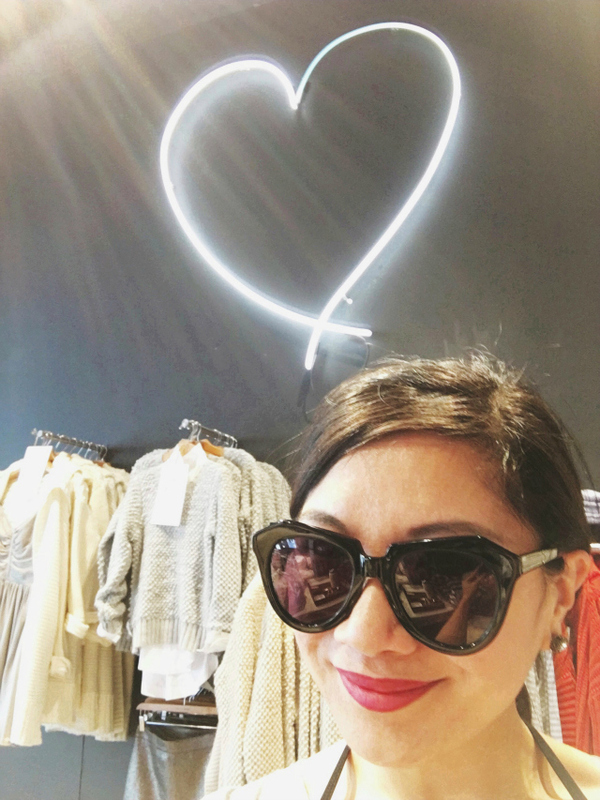 When I started this blog I thought I would share how I shop to readers. But, like other (blogger) things, I didn't get around to it and then a slew of other bloggers were sharing their stories and I felt like I missed the boat. Yet, as the saying goes, it's never too late. So I'm going to build a clothing capsule and share my shopping journey with you. I'll share what I want in my capsule, why I think things will work for my lifestyle and how this can work for styles of all ages. You may have noticed on this blog that I repeat things in my closet often. You can see this pattern most notably in my year-end round ups (here and here). I don't do this simply for the sake of saving money, but because I truly love the versatility of apparel. Even if the versatility isn't obvious. SO I think the notion of a clothing capsule is up my alley. Also, the notion of a clothing capsule will keep me focused, refined and accountable. I've always been a lover of fashion and trying out new trends and styles, but I'm just growing into a more adult taste. Being a mother now, I'm finding out a new definition of versatility. I need items that I can be comfortable, easy to throw on, easy to throw off and still be chic. So when it comes to finding new clothes, I am keeping these things in mind. Have you ever created a clothing capsule? I'm so intrigued to commit to this personal challenge and I'd love to know what you think (and if you did this already, then how was this experience for you?). Sounds cool! I think being able to re-wear existing pieces in different ways is way more creative than buying new things all the time. You are going to rock this and I can't wait to see it goes! I always get inspired when I hear about other people creating a capsule wardrobe...but I don't think that would work for me. I like to shop too much and don't like getting rid of stuff. That makes me sound like a hoarder though, doesn't it? This is great!! Can't wait to see your outfits! Beautiful sunglass!! Happy new year. Not created a capsule yet. But it is high time I should. Happy new year dear. Love this post, nice idea! I've been so intrigued by this. Excited to follow along! This is an awesome idea!! Also, that's a lovely photo! I used to buy a lot of inexpensive pieces just because they were cheap. Now I've switched my shopping mentality to: how often will I wear this? how will this go with what I already have? is it worth buying? It helps to know your closet before you go shopping and it has definitely helped me reorganize my wardrobe! awe love this post! xO! I love finding pieces that can be re-worn over and over! I can't wait to see what you add to your capsule!